» SNAP Bill Ending Ban Passes House! Blog Posts > SNAP Bill Ending Ban Passes House! SNAP Bill Ending Ban Passes House! 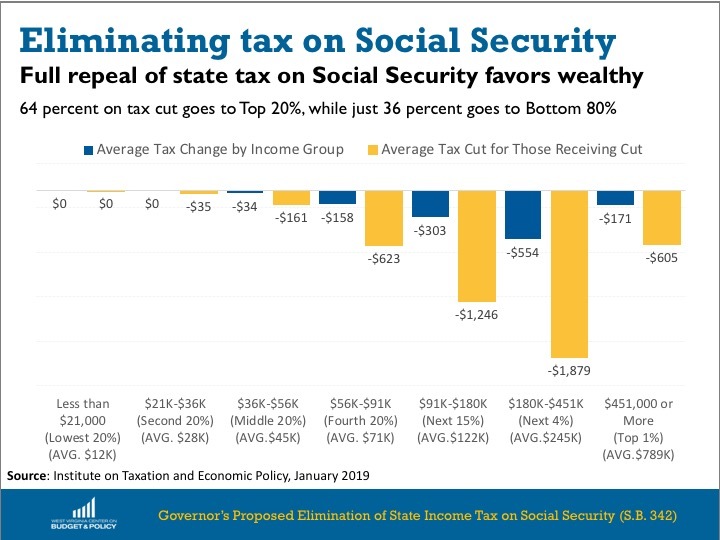 In his State of the State address, Governor Jim Justice proposed the elimination of the personal income tax on Social Security income. Justice’s proposal, S.B 342, would completely exclude Social Security benefits from the state income tax, similar to how the state treats military retirement income. Read Ted’s blog post. While this is being touted as a “middle class” tax cut, most of the benefits go to high-income retirees.The average tax cut for a person with $245,000 in income receiving Social Security benefits would be over 11 times greater than someone with $45,000 in income. A better approach would be to limit the tax cut to mostlymiddle-income West Virginians, and include a bottom-up tax cut for low-income working families like a refundable state EITC that also has other important benefits. Otherwise, it is not efficient use of resources. This week we saw the first movement on tax-related bills that could, if enacted, severely limit the ability of counties to invest in schools and other priorities, all while giving tax breaks to mostly large, out-of-state corporations. House Joint Resolution 17 would amend the WV Constitution to allow the Legislature to eliminate property taxes on industrial equipment, machinery and inventory. In FY 2016, the inventory tax yielded $73 million and the machinery and equipment tax yielded $136 million, a total of $209 million. These funds go directly to counties, funding public schools and other priorities. HJR 17 was passed out of House Finance this week and heads next to House Judiciary. Because it is a Constitutional Amendment, it will require a two-thirds majority vote on the floor if it is to pass (23 Senators/67 Delegates). In good news for food security, legislation (HB 2459) to lift the lifetime ban on SNAP benefits for persons convicted of drug felonies passed the House 98-0 on Thursday. The Senate companion bill (SB 394) was introduced with strong bi-partisan co-sponsorship. Here is our fact sheet on the issue. 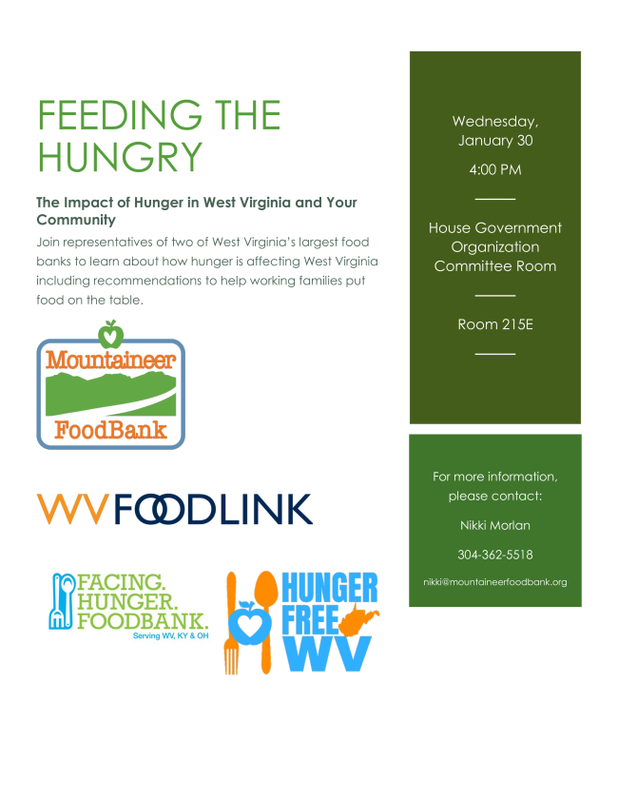 Join us this week at the Capitol to hear from two of the state’s food banks on how hunger is affecting our state. The West Virginia Center on Budget and Policy is currently seeking a Communications Specialist. The Communications Specialist is responsible for creating and implementing a comprehensive communications strategy that advances public policies that improve the quality of life for all West Virginians. This includes media relations, public campaigns, publication design, social media, and website and database management. Interested applicants are encouraged to send their resumes to info@wvpolicy.org. The State Policy Fellowship Program is now accepting applications for its 2019-2021 class of State Policy Fellows! This an exciting career opportunity for master’s level students and recent graduates to develop firsthand expertise in state-level policy analysis and research. Eligible candidates must have received a graduate degree within the past two years or expect to receive a degree before August 1, 2019. Candidates must also have a strong academic record and be eligible to work full-time in the United States for the two-year duration of the program. Apply online before February 10! WVCBP interns are current students at a higher-education institution, or recent graduates, with preference given to graduate students. Tune in on Facebook for a weekly recap of legislative highlights. 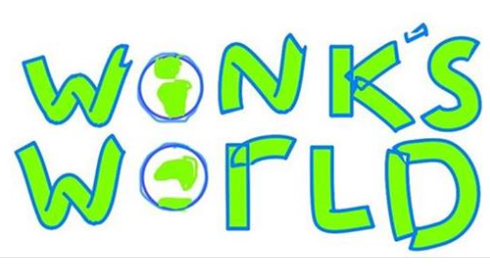 Wonk’s World is hosted by Rick Wilson and Lida Shepherd with the American Friends Service Committee. Curious how a bill becomes a law? Want to learn about how citizens (regardless of age) can get involved? 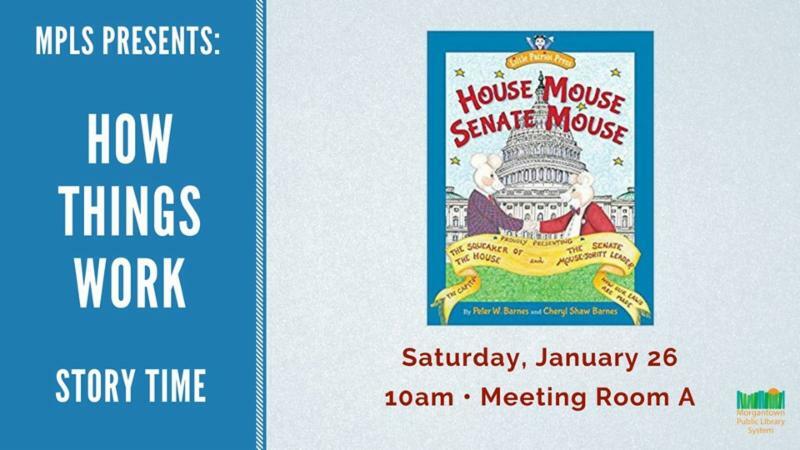 Join our guest readers Mollie and Kelly for the exciting tale of House Mouse, Senate Mouse plus fun activities. 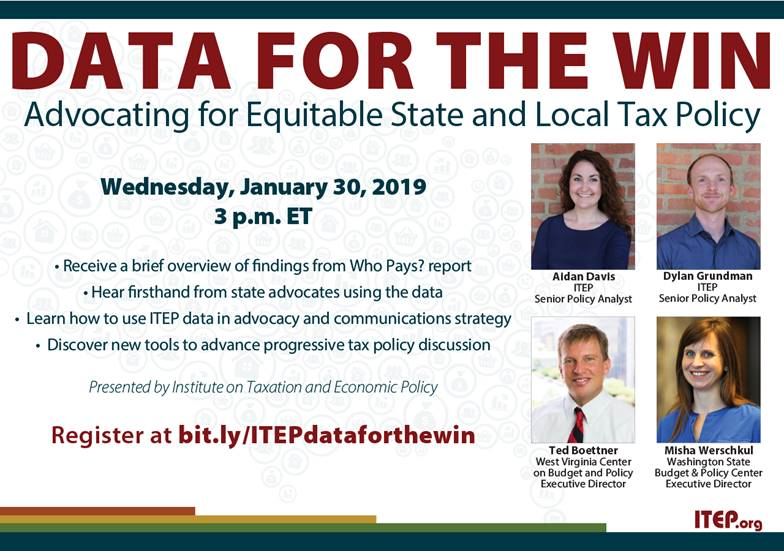 This webinar is designed for policy professionals, leaders of advocacy and grassroots groups and new policy staff with a professional interest in equitable tax structures. Register today! Join a coalition of state and local organizations to learn how to advocate for the issues most important to you! 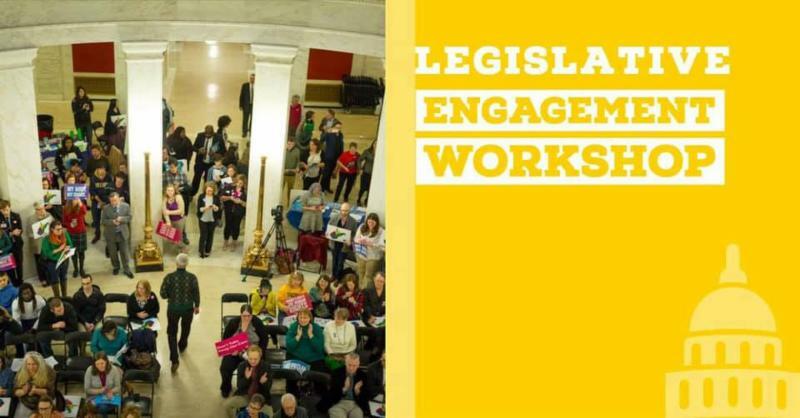 This training will provide information about the process of a bill becoming a law, resources on how to speak with your elected officials, and taking effective actions. We’ll also dive into some messaging tips on a variety of issues and how to connect these issues in a strategic and effective manner. Networking time will be included in the training to learn more from policy/issue experts and get involved in organizations or groups you’re most interested in. Workshops are free and all are welcome! We hope to see you there! WVCBP Policy Outreach Coordinator Kelly Allen will lead a discussion on what to watch at the state Capitol and ways folks can get involved. She will discuss the potential harmful tax cuts on the agenda that would take dollars away from our schools and other priorities and send them to out-of-state corporations. She will also share information and ways to get involved working on some positive bills that have been introduced that would prioritize the needs of workers and families in the state. More information here. 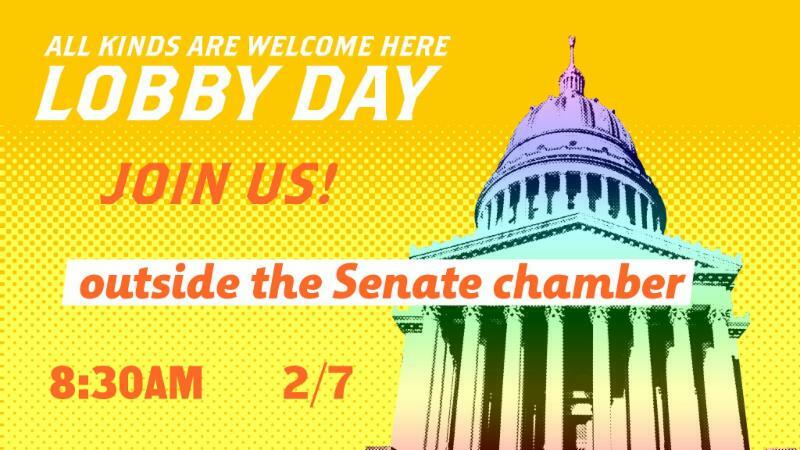 Join organizations and individuals committed to moving West Virginia forward at the 2019 All Kinds Are Welcome Here Civil Liberties Lobby Day! Advocacy training starts at 8:30 in the House Gov Org room followed by a press conference at 9:30am outside of the Senate Chamber. Next is constituent meetings from 10-11 before watching the floor session from the House and Senate Galleries. Come stand with us in solidarity to show the West Virginia Legislature that West Virginia should be a place that welcomes and respects ALL people! 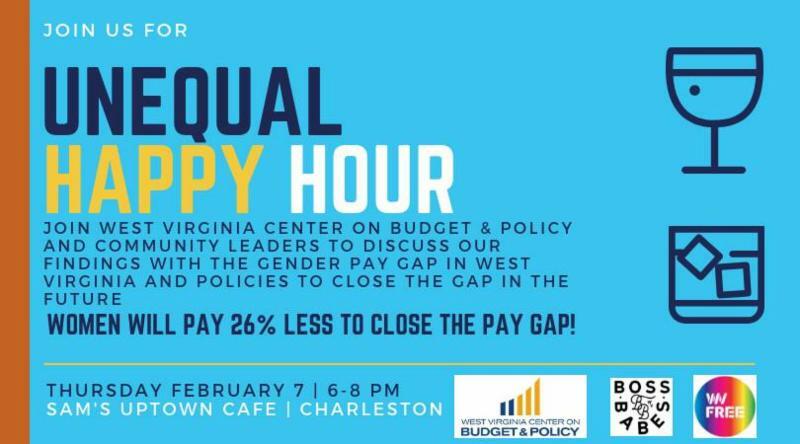 Please join us along with Boss Babes and WV Free at an Unequal Happy Hour to draw attention to the gender pay gap and to highlight policies that would help to close it. West Virginia has the third-largest gender pay gap in the nation. Women working full-time, year-round are paid, on average, 74 percent of what their male counterparts are paid. The numbers are even more stark for women of color with black women making just 63 cents to every dollar a man makes and Latina women making just 60 cents. Legislators and advocacy groups will be on hand to discuss policies that they are championing in West Virginia to close the gap for all women.